The idea that the level of inborn talent, hard work, dedication, and intelligence you need to be a banker is even remotely comparable to that of, say, NBA basketball players is ridiculous. But leaving aside the scale, there are some similarities. Most obviously, athletes on the free market–those eligible for free agency–are overpaid. John Vrooman in “The Baseball Players’ Labor Market Reconsidered” (JSTOR access required) goes over the basic reasons, but they should be familiar to any sports fan. There is the lemons problem made famous by George Akerlof: if a team gives up a player to the free agent market, it probably has a reason for doing so. There is the winner’s curse common to all auctions: estimates of the value of players follow some distribution around the actual value, and the person who is willing to bid the most is probably making a mistake on the high side. Another common factor is the mistake general managers make in overpaying for luck. Take any group of .265 hitters, give them 450 at bats, and a handful will hit .300. On the free agent market, they will be paid like .300 hitters, especially if they are young and they do not have a long history of hitting .265 behind them. This is the exact same as one bank making a huge offer to a trader from another bank who just had a great year. For another, the apparent productivity of a player in a team sport is largely due to his team and cannot simply be reproduced individually. John Vrooman in “The Baseball Players’ Labor Market Reconsidered” cites the sad case (for New York Mets fans, of which I am one) of Bobby Bonilla, who racked up spectacularly numbers hitting ahead of Barry Bonds for the Pirates, but flopped with the Mets. The same trader who makes big profits at Goldman based on its low cost of funding, sterling reputation, and tremendous client connections will not necessarily do nearly as well on his own. Finally, while there is a strong relationship between pay and past performance, there is only a loose relationship between pay and future performance. Look at the teams that won the World Series between 2000 and 2009: Arizona Diamondbacks, Anaheim Angels, Florida Marlins, Boston Red Sox, Chicago White Sox, St. Louis Cardinals, Boston Red Sox, and Philadelphia Phillies. Only the Red Sox were among the sport’s traditional big-market teams. Yes, there is a correlation between payroll and number of wins (the Yankees do win the World Series more than other teams), but the random factors play a big role as well. So yes, bankers are like athletes. Their individual contributions are overrated relative to their supporting environments; they are overpaid; they are paid based on where they randomly fall in the probability distribution in a given year; and paying a lot for bankers is no guarantee that your bank will be successful in the future. Team sports, like banking, are an industry where the employees capture a large proportion of the revenues. And one with negative externalities, like upsurges in domestic violence around major sporting events. Neither one should be a model for our economy. This entry was posted in Commentary and tagged Banking, compensation, sports. Bookmark the permalink. Just out of curiousity, does the paper (which unfortunately I can’t access) account for the impact on ticket sales (and other revenues) of signing star free agents and keeping established veterans? As for your observation about recent series winners, I don’t disagree with your overall conclusion, but only the Diamondbacks and Marlin are not from one of baseball’s “big” markets. And I would bet that only the Marlins had a below average payroll. The difference, of course, is that professional athletes make money by providing a service for which ordinary people willingly pay. In short, even if these parasites were paid according to their true “talent”, we should still be taxing their compensation at approximately 100%. My guess is we could outsource CEO and Sr. Mgmt. positions successfully – athletes, probably not. I think that a principal factor the problem is the difference between occupations in industries that involve large sums of money that are dependent a few principal producers. So you have CEO’s of huge corporation being paid outlandish sums largely because they have demonstrated that running a behemoth is even possible for them, and no board one wants to take a chance on an unknown quantity, on the principal that “the devil that we know is preferable to the one we don’t know.” Athletes and celebrities are beneficiaries of mass entertainment, where the receipts are supersized, and a good case can be made that stars at least have drawing power that is worth big bucks. Are bankers of the same type? Highly questionable, I suspect. There might be a few of out-performers, but I seriously doubt that this applies across the board. peritive firm and clearly success is revenue enhancement. Arguing that some players are overpaid on this context only implies that there is a vast group of UNDERPAID players, in this case young players and those constrained by eligibility for free agency. Would expect this fine blog to be a bit more careful in avoiding this kind of sloppy analysis going forward. it seems a bit silly to leave out the face that the yankees did win last year. Also, thw white sox and angels were right behind the red sox in total salary in 2008 (http://en.wikipedia.org/wiki/List_of_Major_League_Baseball_teams_by_payroll). The diamondbacks and marlins are the only two teams with unusually low payrolls to win the series recently, and the phillies have benefitted from getting to underpay young, pre-arbitration stars for a few years, so it’s not exactly like they’re obeying pure free market principles. Agreed. I would go further: a great year raises expectations for the next. That encourages risk taking and a willful complacency. Three good years and you’re almost bound to fail due to hubris and a failure to fix any flaws. So much of ‘successful’ finance is due to luck, general market conditions, or the interdependencies within the largest banks over which no single person has any control. There are no stars in banking in the sporting or entertainment sense. One major difference: the managers are paid less than the high performing employees. And then there’s the employment contracts… sure, get a huge signing bonus and a large salaries but the player has to stay with the employer. Can I cringe now? As a former [reformed?] financial sector worker I can assure you there were plenty of things regular folks wanted to buy from us. I assume your acid is thrown of the face of those trader types. In my day we didn’t even call them ‘bankers’. They ran the casino upstairs, and every night we hoped that they hadn’t bet the bank the wrong way. I guess things haven’t changed much since I left. But I would venture to guess, in fact I would almost guarantee that for every million dollar bonus trader and hundred million dollar CEO, there’s a guy at a small boutique investment firm or local regional bank making $200-300,000 that could do every bit as good a job. It reminds me of a story in Colin Powell’s autobiography “My American Journey.” He talked about the ceremony he attended when he was promoted from Colonel to Brigadier General. At the ceremony a multi-star General gave the keynote address and mentioned that while he congratulated all the new Generals on their promotion and they were well deserved of the rank, if a bomb went off in that function room they could easily promote another dozen Colonels to General and the Army wouldn’t miss a beat. That is the essence of the outrage for me, this belief that they have some special talents and powers that allow them to make this money, when it’s simply the position they’ve been put in by society and the economy; and in many cases by the schools they went to and who their Daddy’s were. A large number of the people that comment on this website could do most of the million dollar plus bonus jobs at Goldman Sach’s, JP Morgan and the like with a couple months of orientation and the right licenses. 90% of the success in the actor / athlete world is based on physical looks or abilities that you have no control over. The interesting thing about actors and athletes is that as professions, there are many willing to do the same thing for far less, and in fact, even most stars would still perform for far less money if they had no other choice. And indeed, there was a time when that was the case. However, the stars in these professions have draw power, and that gives them leverage, which their agents have become over time more sophisticated in using for contract purposes. So the star can charge an economic rent for their services far greater than a simple supply and demand curve would indicate due to their leverage. Therefore, it seems that Bill George is admitting straight forwardly that he is way over paid, but that he has leverage regarding his pay and he is going to use it. So far it is an apples to apples comparison. However, why he has leverage and why an athletic or movie star has leverage is an apples to oranges comparison worthy of exploration. He avoids the question, so, I doubt he really wants us to investigate that issue. Impressive dismantling of that argument. Jason Zweig in the WSJ recently had an article analyzing if there is any statistical data to back up the conventional wisdom that the more you pay a CEO the better the business performs and the more return the shareholder receives. His analysis suggested that in fact the opposite is the case. The more companies dish out to their CEO and top executives the worse the businesses tend to perform compared to their peers. All these talks about the need to retain these “impressive minds” is just hubris and wishful thinking on the part of the executives. These bankers seriously have egos the size of Jupiter. The distinction between “Traders” and “Bankers”, drawn vociferously within the financial services industry, is generally lost on the public. Particularly after Graham-Leach-Bliley blurred the distinctions, and more recently when all remaining investment banks became “bank holding companies” in Sept 08, the distinction is probably moot in any case. I saw the Zweig article. It is also possible that companies that are already in trouble feel like they have to shell out for the superstar CEO turn-around artist, or go down in flames. So the apparent negative correlation could creep in due to a selection bias. Not to say that superstar CEOs aren’t significantly overpaid. Just that they aren’t really better (or worse) than run-of-the-mill CEOs. I disagree that you can take a group of .265 hitters and a handful will hit .300. The standard deviation over 450 at-bats is certainly more narrow than to allow a handful to go from an average hitter to a great hitter, just by chance. On another point, teams in free agency have near perfect information about the player they are considering. They have their entire “resume” available through video tapes of their games, physical attributes, factors that may have made their stats look better than they are (whether they batted before a great hitter, played in a stadium notoriously easy to hit hr’s, or any other factor). The same can’t be said about bankers. They are talentless douches, and they deserve to be shot. I’m not joking around, I sincerely believe that they are traitors and should be exterminated. And the claim that overpaid overindulged BANKERS should be viewed as athletes or rock stars is exactly what the problem is. Just like dancing until the music stops – this comment says it all. Exhibit A for why TBTF must be ended. How about graduated (based on size) capital requirements that at some point make it too expensive for the too big to be big anymore. Simple – but for getting the regulators to actually have the guts to do it. Do you have a reference for this, James? The regulators will never do anything that’s beneficial to the people until the people force them to. I believe that the way to have a stable banking system is to return to the gold standard and free banking, and to abolish the Fed and fractional reserve banking. When the greatest political geniuses ever assembled wrote the US Constitution, was it simply an oversight on their part that they did not establish a central bank? I don’t think so. Did they not know what they were doing when they defined money in terms of gold and silver? I don’t think so. Henry Ford said, “It is well enough that people of the nation do not understand our banking and monetary system, for if they did, I believe there would be a revolution before tomorrow morning.” The American people are as ignorant of their monetary system as they were in Henry Ford’s day and they’ll keep getting screwed by the banksters until they wise up. So what if bankers get paid too much? I say good for them. If you don’t like it, take your business elsewhere. And if you think they take too much risk and destabilize the financial system, well you might be right. But that’s just an argument to end the FDIC. Why should the taxpayer have to fully restore the deposits of your bank’s ignorant customers? Believe me, if people had to think twice about where they put their money, our financial system would be much more stable. There is nothing like fear to focus one’s mind. Henry Ford? I think I’ll have a heaping helping of the protocols to go with that! I’ve never understood why the work of wall street traders couldn’t be outsourced to India. They’ve hired a great many mathematicians and physicists over the years (so called quants) and India has more of those than any other country in the world. I do believe given the size of the population there would be a great deal of extremely talented individuals who would be happy to do the work, perhaps more talented than those doing it in New York now. They would be paid a good deal less. Or are the people of the banking sector protected in ways that the rest of America’s workers are not? Do they belong to a special class of people protected from competition? why don’t all you complainers start a bank? it’s a simple business after all. you can probably find minimum-wage people to turn the crank that makes the money come out. have them put bags under the spout so money doesn’t fall on the floor. terrific! no bonuses necessary! in time you might accumulate enough wealth to hire basketball players to turn the crank in the hard-working and naturally-gifted style that you appreciate. 1.Professional Athletics weeds out the best of the best at scale of amost 1 out of 1000000 during youth and juvenile competition, bankers maybe kinda sorta get a gig based on class, race and heritage. 2.Athletes (NBA, NFL, MLB and NHL) arguably get paid such large amounts because they increase revenue and product quality which consumers willing pay for and enjoy investing in,while bankers receive insane salaries because they idly stand (sit) by, perhaps increasing revenue or perhaps improving quality and as we recently noticed, cannot be cut, released or put on waviers, oh wait, they can be put on waviers, because Washington will pick up the tab. People usually don’t care about salaries made by sports stars or Oprah or Steve Jobs or Bill Gates. That people can make astronomical sums of money is not viewed in and of itself as “bad” in America – as long as people feel you’re being paid for something tangible. People enjoy watching athletes. Some are overpaid, but they are entertainment – people pay money to see them in return for an enjoyable time at the game. Advertisers pay astronomical sums to advertise during the Super Bowl because they know the consumers of America are tuned into that event. And for most years, no one cared at all about the salaries made by GS bankers. This year they do care. This year people care because we were told by former GS CEO Henry Paulson, in his temporary stint as Treasury Secretary, that the financial sector had come to the brink of a cliff, and if the US government didn’t rescue the financial sector, all hell would break lose. GS, as an active participant in the financial sector, availed itself of every single cent the government offered it. Then promptly turned around and claimed it never needed any of that help anyway – it would have survived no matter what. GS, as an investment bank, is supposed to manage risk. That’s a big part of the job of those bankers. Because they and others in the financial sector did such a terrible job with risk management (just ask Henry Paulson – or better yet, read his press release from September 2008, announcing TARP), the economy moved over that cliff shortly after TARP was signed into law and millions of people lost their jobs. No TARP for them, however. No bonuses either. So for the tone-deaf idiots at GS to say that the great talent that led their firm into dangerous territory needs vast sums of money or they’ll leave – that’s an argument that rings incredibly false. Let them leave. Perhaps they should try their hand at professional baseball. In a normal economy, I would agree with you. In 2008, the US government rescued the financial sector from collapse. Goldman Sachs availed itself of every single government entitlement program in TARP. Billions in federal dollars came their way. They paid back the $10 million loan with interest, but as I understand it, they’re still feeding off the low interest loans offered by the government. We’ll never see a penny of the $13 billion they got in the AIG bailout. Now they want to say their profit is their’s to divvy amongst themselves? Bankers who tap into a government bailout have failed to do their job of managing risk. Profession athletics is a form of entertainment, not a form of parasite. ha ha ha. The people with the most “skin in the game” at Goldman are the US taxpayers, who are implicitly guaranteeing their highly leveraged asses. Alex Rodriguez can hit a 98 mph fastball 420 feet. I don’t personally know anyone who can do that. However, I am pretty sure my buddies and I could bring the planet to edge of financial Armageddon. Well, the statement isn’t as bad as “doing God’s work,” but I think Mr. George is overlooking the fact that when athletes and movie stars screw up, they don’t bring down the entire global economy. At worst, they end up in rehab after the reviews come out. Hmmm, perhaps it’s time to send a few bankers to rehab…the kind where they wire your nuts up to a behavior modification device. It would appear that the major banks are following the NFL Redskins (nominally my “home” team) pay model, the largest payroll in the NFL and nearly the worst performance on the field. They consistently pay top dollar for football players who did well in recent years, but fail to perform (yet get well paid) when they join the Redskins. In contrast, look at the Pittsburgh Steelers, which have one of the lowest payrolls in the NFL and yet manage to rather consistently be among the top teams in the league (& occasional Super Bowl winners). They strive to develop and retain their talent rather than buying momentary stars, although they often lose some of their best players to higher paying teams. Those teams, including the Redskins, NTL usually end up with poorer performances from these “star” players and worse records than the Steelers. Paying top dollar just means you’ve overpaid. There exists a body of anecdotal evidence suggesting that some market participants are “market insiders”. History suggests that this class of trader forms and trades information based on propinquity. In other words, to be inside Wall Street, you need to be physically located there – India just won’t do. This also stuck in my craw. IIRC, a non-profit whose name escapes me began touting the fact in the late 1990s that Super Bowl Sunday brought about the greatest incidents of domestic violence. Then a week or two later had to recant when the evidence showed the statement to be preposterous. For those seasons that Wille Mays had 450 or more official ABs, the standard deviation of his batting average was .0274. Based on this one data point, it is suggestive that it is likely that a good fraction of lifetime average .265 hitters could hit .300 in a given season. Another way to look at it is that in 450 ABs you need 15.75 extra hits to change .265 to .300 or one every ten games during the full season. .265 and .300 aren’t that different and expect that baseball professional in charge of evaluating talent look a lot deeper than this figure. Whether or not they are “traditional” big spending teams doesnt matter, correct? The fact is the spenders won. You have to spend to win. Only one year did a team who did not spend in the top half win. And the 2 most successful teams of the decade by far (total wins in the season and ws appearances) were the top 2 paying teams : the sox and yanks. Sure some luck comes into play…but no more than in other things. I know the current rage is to say everyhitg is due to what day you were born or if your last name starts with J but i think we have let the pendulum swing too far with the luck argument. Furthermore, many of the smaller mkt teams that do find success via smart scouting and revenue sharing. The real problem with baseball (and god help us if wall street goes this way) is that it pays to be a bad small mkt team. Take the Pirates. Consistantly in the cellar, they make a profit year after year. WHY? Because of revenue sharing. The big market teams give money to the small market teams there are no requirements what they do with that money. Whats their incentive to do well??? Sound familiar? Also very easy to pick out an outlier like Bonds. Your assertion that he flopped is MOSTLY accurate. The METS probably should have seen it coming in since he had a down year his last year with the Pirates….but you are such a big METS “fan” you probably knew that. I mean look, the mets are a bad run organization…….so you are actually just proving my point. GO out and sign bad players and you lose. Go out and sign a good player and you win. The fact you pay a bad player a lot of money doesnt make him good. Just liek on Wall st….if you dont find good talent and pay them…you will lose. Like the METS have. For 23 years. Furthemore, especially with the development of advanced statistical analysis (whioch almost every baseball team now emplys) The assertion that a team would sign a player who had a fluke .300 year its ridiculous. Do yu have any idea how much anlysis goes into this. To make the claim that a hitter who has a random lucky year will cash in big is sort of underestimating the teams analysis (understandbale form a mets “fan” perspective). BA is actually a decreasingly valuable metric for measuruing performance. GMs look at advanced metrics like OPS, career OPS+, BABIP to try and deternine if the 300 year was a fluke….espeically if they are considering commiting big $$ to him. . If having a payroll of $165mm helps you win a world series and generate 100s of millions in revenue….how are those players overpaid? Its a fair, orderly easy to follow market based system. Its so simple its beautiful. Just like free markets in the USA. If you would liek to learn more about advanced baseball statistical evaluation pick up a bill james handbook (hes currently employed by the red sox), check out fangrpahs.com or try a google search on sabermetrics. Sorry for the spelling errors I am a bad typer. You obvously have no idea what you are talking about. Mathematics is the study of quantity, structure, space, and change. No doubt vital in managing risk, yet incapable of eliminating randomness or assumptions. Formulas are great, but will never decide to buy or sell. Physics is the study of matter, and its motion through space and time. More broadly, it is the general analysis of nature, conducted in order to understand how the world and universe behave. I have yet to read E = MC^2 on any balance sheet. And by the way, those same “Quants” would have used finance and statistics (not physics) to argue that real estate markets in Florida, Arizona, California, Nevada are mutually exclusive. Regarding your thoughts on population size. You might want to consider that India’s public, not private, education system is extremely underdeveloped. That’s why the well to do Indians, from the right side of the caste system, come to the US to go to school. In addition, while the second largest population on earth, roughly 700 million Indians live on pennies per day. In terms of protecting jobs, you might want to take a look at GM. A collection of workers who have littered our highways with clunkers that have just been replaced with the assistance of my tax dollar. People who have spent lives in job banks, earnings upper middle class incomes, well above many “extremely happy”, “happy to do the work” Americans. People whose jobs HAVE been outsourced to places like India as a result of the laws and demand running their course, Oh yeah, and who, through the protection of this administration, have not only saved their jobs, but managed to come out of bankruptcy owning 10% of the company. I sure hope no greedy trader in charge of your retirement was holding any GM bonds, cause you got screwed! That’s a special class of people. Lastly, I can only assume that you don’t have a car loan, mortgage, credit card, or any other type of leverage. If not, them perhaps it is you that should be outsourced. Investment bankers are not entertainers,athletes are. You can measure the difference between Albert Pulois and all the other first baseman quite easily and probably even calculate his influence on annual revenues and profits vs his absence. Investment houses seem to all perform about the same every year since they perform the same functions for their clients and all rise and fall on annual economic conditions. Kind of a herd mentality. Do what your competition does and you don’t risk unconventional thinking that could get you fired for a 5% lower profit margin. Guess GS managed to short the CDOs they sold to their customers so that puts them in a special category deserving more bonus money that BAC, Merrill, AIG,Well Fargo. I say pay them this year the same as the best hitter in baseball but next year when they hit .250 cut their pay to that of a .250 hitter. Actually, there’s a point that I think has been missed: Athletes are not working in a free market. They are essentially appendages to professional sports organizations (the NFL, MLB, NBA, etc.) that are monopolies. Imagine if, instead of the current league structure, all sports teams were “barnstormers” with opponents that varied year to year. New York, instead of two pro baseball teams, would likely have perhaps ten or more. In such a situation, the compensation of the players would plummet. You Are So Wrong!!! What World Do You Live In??? While you all fiscally responsible, economically astute, moochers and looters sit here castings stones at the politically convenient source of your bitterness, contempt, and envy, consider the words of one of your value detracting, above the law, soon to be lifetime pension collecting leader, Andrew Cuomo. 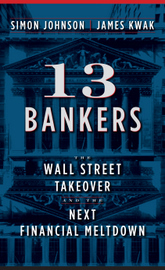 In his own study of the bonus practices of the original 9 TARP banks (http://www.cbsnews.com/htdocs/pdf/BonusReportFinal7.30.09.pdf?tag=contentMain;contentBody), he states that of the 1,279,000 people employed by these institutions, 6,502 received a bonus greater than $1,000,000. This is one half of one percent of all employees at these banks. The point being, when you anonymously attack these institutions for the difficult times in which we have all played a part, you are attacking your neighbors, friends, and family. These are the hundreds on thousands of people who have repeatedly been asked to do more for less, who have watched friends and co-workers disappear into the ranks of the unemployed and foreclosed, who live amongst us, who spend money in our local economies, and in many cases perform tasks at work which contribute to the cogs of our lives continuing to turn. As you write, give careful consideration to this 99.5%, and remember that many of them take just as much pride in what they do for a living as any employee at a US auto maker, only they aren’t protected by a union, won’t emerge from bankruptcy owning 10% of their employer, and that to a large extent they’ve repaid the government with interest. Consider how they are part of the 20% of Americans that pay 80% of the taxes, don’t get two breaks and a lunch hour, yet have to watch the President of the United States go on television three times a day and refer to them as criminals. Consider that they too stress over healthcare for their families (for which they pay themselves), education for their children (for which they will pay for themselves), and a home representing their American dream (not an ATM), and that they now spend the better part of holiday parties, neighborhood barbeques, and family gatherings defending the role that so many have worked a lifetime to gain. And most importantly, consider how James Kwak has taken a once insightful, intelligent, and educational web sight, and turned it into a sounding board for his own agenda. He once taught us the fundamentals of interest rates, foreign exchange, and the Federal Reserve, but now uses his captured audience to tell us what day of the week someone will get paid, how supply and demand shouldn’t apply to Michael Jordan, and how being hard working is no different than being tall (see: “Do Hard Working People Deserve To Make More Money). James you are a huge disappointment. You have repeatedly attacked people like Henry Paulson, Ben Bernanke, and Jamie Dimon, who while certainly not perfect, were amongst a very few that stepped up to the plate and made decisions. They didn’t know if they were right or wrong at the time, but accepted responsibility, unlike the newly vocal in Washington DC who now want credit for the ongoing economic recovery, despite neither claiming their role in the mess nor thetir unwillingness the lead in its solution. Watch PBS’s FRONTLINE (Inside The Meltdown) and you will see Christopher Dodd, the Senate Banking Committee Chairman, say in his own words how he had no idea that Paulson and Bernanke were going to say what they said when requesting the $750 B bailout fund, yet Freddie Mac, Fannie May, Bear Stearns, Lehman, and AIG were all gone. If he had no idea, he should have been fired on the spot, but my point is that you never called him out once. You have no credibility, only your personal agenda, and we’ve heard “from each according to ability, to each according to need” before, know who wrote it, and how it ends. This will be my last evening visiting The Baseline Scenario. I am grateful for Simon Johnson, and how he has made me a smarter person. I am sad that he lost control over this very important resource, and that as a result, many will once again be forced to decipher the source, intellect, and motive of those from whom they now gather their intelligence. So Oprah is giving you something tangible? Sports stars? Their not paid a ton of money because they entertain you. People entertain me on youtube everyday, and get paid $0. They get paid because they are valuable to the company for which they work. The Yankees have the highest payroll is sports (~$200M), and everyone complains, but last year the Yankee organization made $1 B. I’d pay the platers too, and as a shareholder I’d want them paid, and want to keep them. In terms of their needing TARP, it’s been well documented that they didn’t ask for it, and we’ll never know if they needed it. In terms of others who have suffered, I agree there have been many, both from within the banking profession and outside of it. But in terms of no TARP or bonuses for them, you’re incorrect. Consider GM. They have recieved almost as much TARP funds as the biggest banks, the difference being we will never get that money back! In addtition, despite a major contribution to the demise of the company, the union not only managed to survive bankruptcy, but emerge on the other side as a shareholder. This is a case where the free markets were not allowed to run their course, and millions of jobs were saved (starting with the auto companies, and moving downstream from suppliers to raw material providers)! Do you know who got screwed here? The bond holders, of which you could be oue, but no one complains about GM. In the end, GS paid you back. You may not like the terms, but your government entered into a game in which they were inept, and they took advantage of you. If you’ve been following Sinom Johnson, then you know he has been urging, begging, pleading with the US government to ensure that the US taxpayer has upside as a result of the “risk” their taking. They failed. Not GS. GS succeeded, just ask their shareholders, which if you don’t like them, don’t become one. Hmm. I do not remember when The Oprah Winfrey show got bailed out by the government. Please refresh my memory on that one. Because, JTA, that’s the issue. GS exists today thanks to a massive government bailout of the financial sector. GS paid back a $10 million dollar TARP loan. That was just a fraction of the money they received from the bailout. Yes, the government made a bad deal – just look at the AIG bailout – in which a bankrupt company paid out 100 cents on the dollar to companies like GS. The current treasury secretary was the head of the NY fed since 2003 – and he failed to see the AIG implosion coming? But then again, so did the highly educated, highly compensated bankers at GS who get paid for their skills in risk management. When your risk management efforts take the company – and the country – into dangerous territories, a $20 billion bonus a year when you’re hanging onto a variety of federal lifelines is not in order. Keeping on point, GS got $10 BILLION, not $10 million. And they paid it ALL back, on top of a hefty premium for the vol. The US taxpayer made money from GS! Their only advantage from the taxpayer presently is FDIC insured debt. It’s cheaper debt for them, but still their debt. There is no “variety of federal lifelines”. The absence of accountability in the blog universe does not relieve you of your obligation to be educated and accurate. You’re right about one thing, the shareholders are expressing their view. The stock was $60 in March, and is now $170. They’re buying it! AIG is an apples to oranges comparison. I’m not sure why you switched gears mid thought. I checked, GS sold $10 B worth of warrants to the US gvt. In return, The US gvt was paid 4% for the 6 months the warrants were outstanding, an GS bought the warrants back for $11.1 B. Annualized the US taxpayer return on our GS investment was 23%.